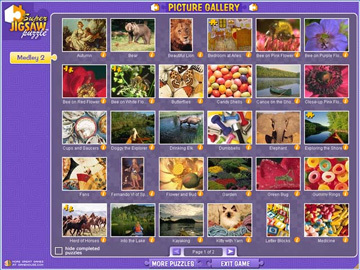 The most fun, relaxing and feature rich jigsaw puzzle game. 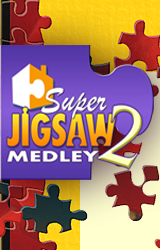 Play with up to 520 pieces and choose between traditional jigsaw shapes or square edges. 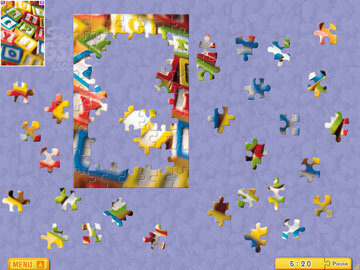 Show or hide edge pieces and for extra difficulty turn on "piece rotation". 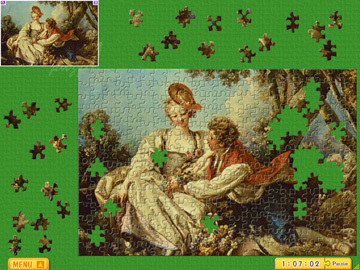 Save your progress and come back at any time!